Most organizations will face a security audit of some type, either internal or external, over the next few years. The goal is the same – protect data from both malicious compromise and well-intentioned loss – but the mechanisms to do so are very different between traditional and modern security architectures. 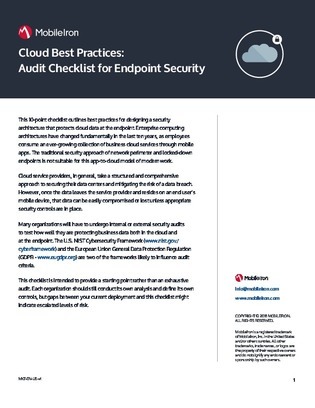 Download this 10-point checklist for an outline of best practices for designing a security architecture that protects cloud data at the endpoint.